The T-Rex: The Ultimate Predator is a new exhibition at The American Museum of Natural History. 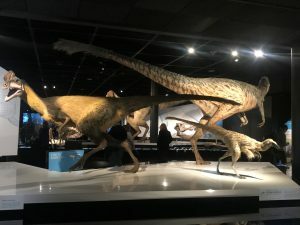 The exhibit consists of displays of massive life-size dinosaur models, artifacts, and animated features that help visitors gain knowledge about the T-Rex and other dinosaur species in a fun and interactive way. The exhibit consists of fun interactive features such as the T-Rex wall projection, which is a big screen with motion sensors displaying a T-Rex and its offspring. The animated dinosaurs react to visitors standing in front of them, giving them direct eye contact and movement from left to right, following the direction of anyone who walks within their path. ayer game allows players to have a virtual experience in a fantasy white room consisting of a disconnected 66-million-year-old T-Rex fossil. Three players maximum must work as a team to connect the T-Rex’s body parts together to bring the creature to life. There are also floor and wall projections with shadows of moving T-Rex figures, with some attacking others. 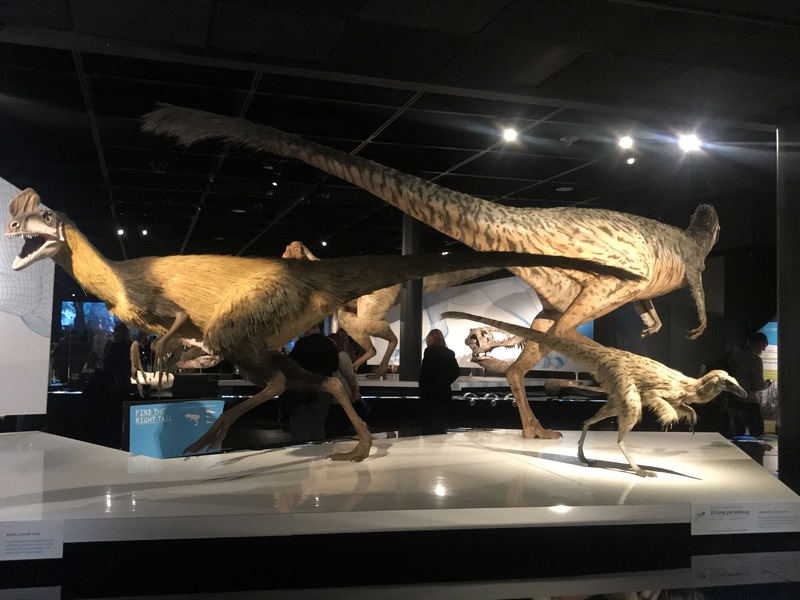 Mark Norell, the curator of ‘T-Rex: The Ultimate Predator’, joined the Museum in 1989 and has led a number of scientific investigations into the evolutionary history of tyrannosaurs and other theropods, the group of dinosaurs most closely related to modern birds. Ever wonder what color a T-Rex may have been? Unfortunately, nobody knows for sure, but its skin color is depicted in the exhibit as a dull light brown, similar to crocodile. The “Color Interactive” station allows visitors to choose from a range of colors for the feathers and stripes, and thus visualize the possibilities of what a T-Rex may have looked like. The exhibit opened on March 11 and runs through August 9.